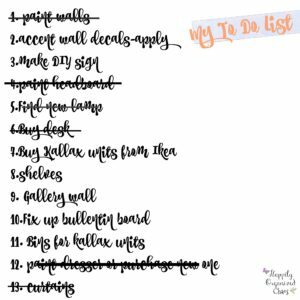 Another week has past and I have checked quite a few things off of my to do list for the One Room Challenge. 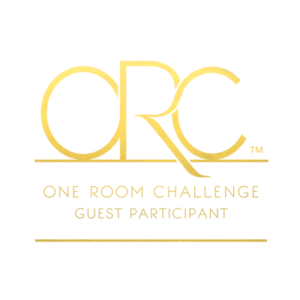 If you are not familiar with the One Room Challenge (ORC) let me explain it to you. 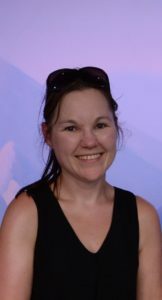 A wonderful blogger over at Calling it Home has set up a biannual challenge for any blogger who wishes to participate. 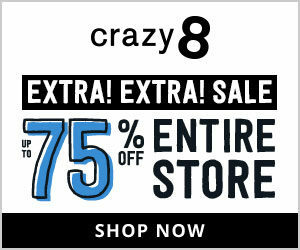 It is to redecorate/renovate any room in your home in just 6 weeks. 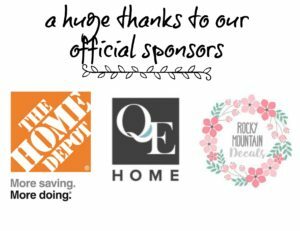 When I first learned about the challenge last spring, I was excited to jump aboard. For that challenge I decided to redecorate my master bedroom and you can read about that here. Also make sure that you check out the other updates, I’ll list them below! So now onto this week and my accomplishments so far. Honestly, this challenge is getting to me. I am really having a hard time getting motivated, but today I knocked a bunch of things off my ever growing “To Do” list!! You can see that there is still a lot left to do. I painted the dresser today. I really wanted to purchase a new one but to be honest I really like the one I have and why spend the extra money if I don’t have to. I used the Rust-oleum Chalked Paint and O.M.G that stuff is amazing!! I used the Linen color and it is so beautiful and crisp. I am so glad that I took the extra time to paint the dresser because it really does make a huge difference. I thought the dresser was white before and by painting it it shows that it was in fact more cream than white. I also painted the headboard with the same Rust-oleum Chalked paint in linen white. 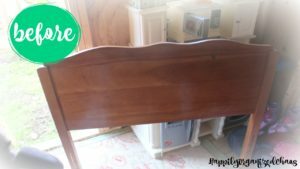 I found this headboard on the side of the road! I couldn’t believe it when I found it back May, I didn’t even have this fall One Room Challenge on the radar but I knew that I wanted Madeline to have a headboard and this had the girly yet simple details I wanted. Can y’all believe the difference? Such an easy, quick fix and changes the while look of the headboard. I can’t wait til y’all see it on the bed!! Amazing! 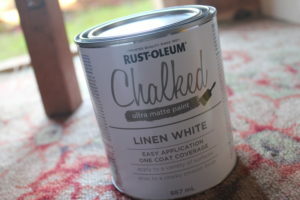 Disclaimer: I purchased the Rust-oleum Chalked Paint with gift cards that were gifted to me from The Home Depot Canada but as always, all opinions are my own. Good to know that the Rust-oleum chalked paint worked well. 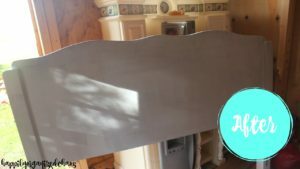 It’s amazing how paint can transform old furniture. 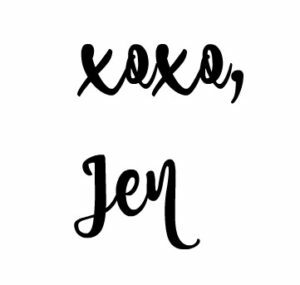 Good luck with crossing more things off your list! Thanks!! 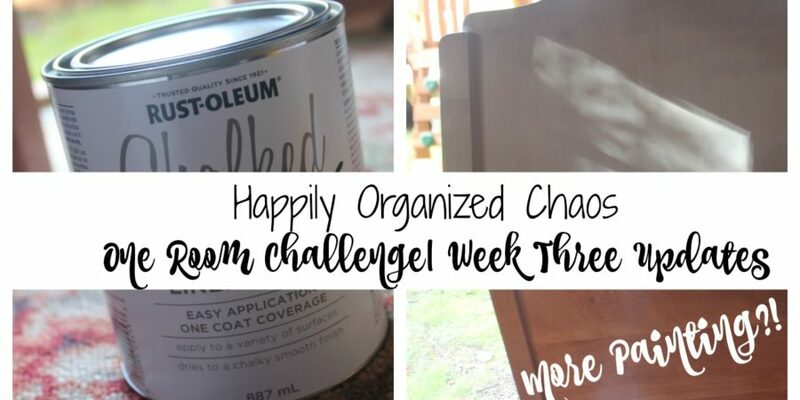 The Rust-oleum Chalked paint is amazing and I highly recommend it! !